Shoes, glorious shoes! What IS it about shoes? Shoes are far more than functional. At least for many of us, shoes are a form of self-expression, of beauty, of aspiration. We want to be the woman who’s wearing these shoes! Shoe styles communicate. They tell us what era they are from. They tell us something about the woman (or man) who wore them. They tell us something about the times, the trials and tribulations, and the triumphs. Our taste in shoes changes. What I loved to wear, or had to wear, in my 20s in shoewear has changed significantly to what I want to, and feel I can, wear now. I don’t have a single pair of classic black pumps in my shoe wardrobe now. Whereas they were a staple in my 20s. We covet shoes. At least many of us do. We see a shoe of a particular shape, colour, heel height, design, fabrication – and we lust after it. We don’t know why this happens. We just do. Some women don’t have a thing for shoes. I know one woman who has 2 pair of shoes – one for winter and one for summer. This is the most extreme case I’ve ever heard of, although my friend Jenni tells me she has only 10 pair of shoes. This seems like a very scant shoe wardrobe to me but it works for her, she’s happy with those 10 pair and only those 10 pair. Shoes can be the starting point for your outfit creation. You don’t have to start to compile today’s ensemble based on the jacket or pants or other staple of the ensemble. You can start with the shoes, and work up (literally!) from there. Shoes can be the focus point of your outfit, too, if you choose. Shoes can’t make you happy. This is indeed the case, I have discovered (and I feel I am in quite a solid position to assert this rather bold statement, being the curator of a large shoe wardrobe, and in times past, a not-so-consciously-created and extensive shoe wardrobe). Sure, shoes can be fun and give you a little jolt of pleasure. Shoes can give your mood a little lift, and they certainly can add pop and pizzaz to an outfit. But seriously friends, they can’t make you happy. No shoe will ever love you. 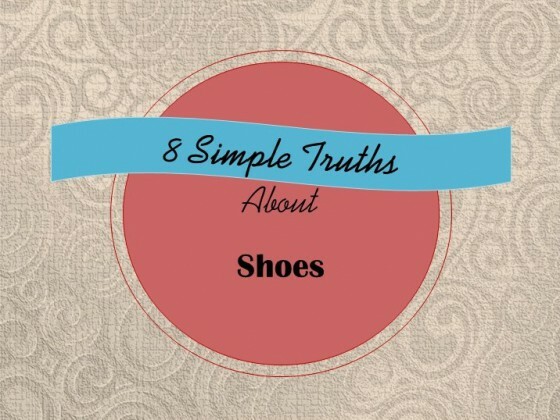 Ah, another important truth about shoes, especially for those of us who have expended considerable time, money and effort in buying and building large shoe collections. Our shoes, no matter how much we slavishly attend to them, will never reciprocate our attentions. A shoe can make you laugh, a shoe can make you cry – but no shoe will ever love you.